You may use an extension like Tab Suspender instead if you don’t want pinned tabs or tabs with audio playback impacted by the suspension. 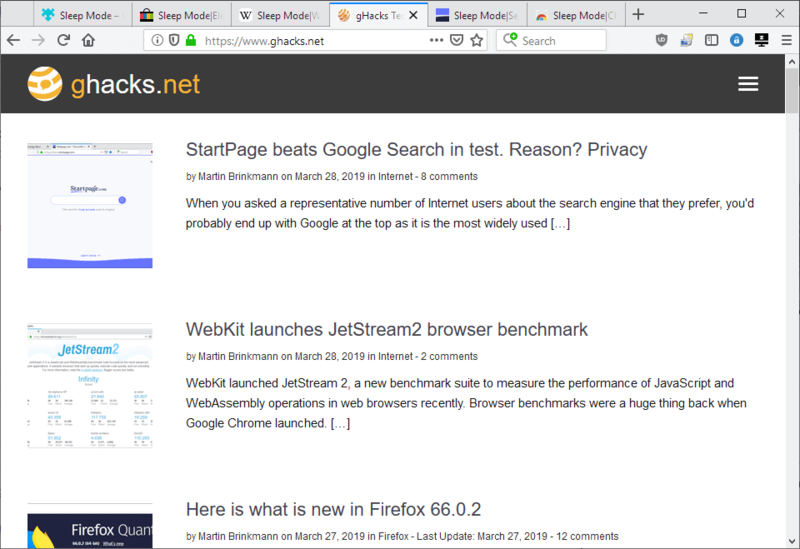 Sleep Mode is a useful browser extension for the Firefox web browser to reduce the browser’s memory usage and power usage by limiting the number of active tabs in the browser to one. The unloading frees up memory, and if RAM usage is your main concern, it is certainly worth a try. I’d like to see options added to the extension to improve usability. Options to ignore pinned tabs or tabs with audio playback, and more control when the mode is disabled would make a good start. 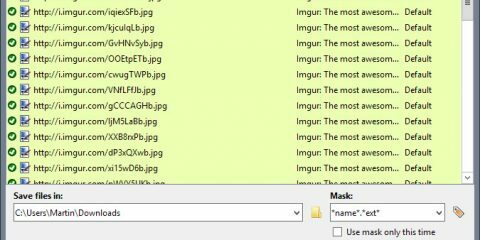 Ghacks needs you. You can find out how to support us here or support the site directly by becoming a Patreon. Thank you for being a Ghacks reader. 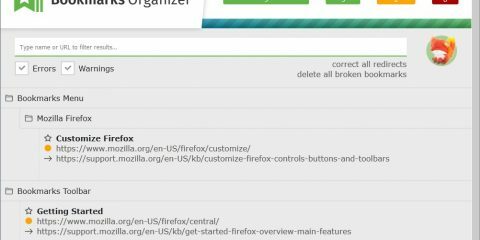 The post Hibernate tabs in Firefox with Sleep Mode appeared first on gHacks Technology News.